Multiple sclerosis – Multiple sclerosis or MS is a disease in which body’s immune system becomes abnormal and attacks myelin – a fatty substance that surrounds the nerve fibres in the central nervous system that leads to nerve damage causing demyelination. It also damages nerve cells of brain, spinal cord, affects optic nerves of the eyes. MS also affects other functions of the body like balance, vision, and muscle control. The affects of MS are different for each person for some people the symptoms are mild for some it may be serious to such an extent that it becomes difficult to carry on everyday task. Narcolepsy – Narcolepsy is a neurological disorder which is characterized by uncontrollable urge to fall asleep anywhere and anytime. 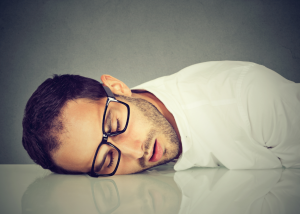 When you are affected by narcolepsy you experience extreme sleepiness, hallucinations and wakefulness. This condition occurs when there is some abnormality in your brain function that controls sleep-wake cycles. Most narcolepsy occurs due to genetic disorder. It is said that if this disorder is in your family there is a major risk of it passing on to you. One more reason of narcolepsy is due to low levels of neurotransmitter called hypocretin – a chemical in the brain that controls the sleep-awake cycle. Hypocretin is responsible for production of feel good hormones serotonin, dopamine and norepinephrine. When these hormones are in low levels it can lead – depression, anxiety, mood swings etc. which is normal in people with narcolepsy. The reason for drop in hypocretin is that when your immune system mistakenly targets specialized cells in the brain that produce hypocretin, this results in drastic fall of hypocretin-producing cells and symptoms of narcolepsy arises. That means your immune system has a role in putting you at risk for narcolepsy. According to Centers for Disease Control and Prevention people with multiple sclerosis do have disorders like narcolepsy, REM sleep behavior disorder and insomnia. The reasons can range from head injury or brain tumor or inherited disorder but MS is considered as a strong cause of narcolepsy. Recent studies have pointed out that brain lesions associated with multiple sclerosis can lead to start of narcolepsy an excessive daytime sleepiness. This is because in both the disorders that are MS and narcolepsy hypothalamus (a particular area in the brain) is affected due to autoimmune process which leads to drop in hypocretin a neurotransmitter responsible for wakefulness. Conclusion – It is common to have sleep disorder like narcolepsy with MS you need not worry , talk to your doctor and get the right treatment because there are number of treatments that can help you fight with MS as well as narcolepsy.